In 2003, Audi was beginning to take an exciting new direction. An updated version of the A8 had just been launched, and the writers of the World Car Guide were licking their lips with expectation. Would Audi launch a sports model of the luxurious A8? It seemed imminent. Roll forward to the present. It’s here. The Audi S8 is a reality, and it’s the ultimate luxury sports car. The word that first springs to mind when looking at the Audi S8 is “diamond.” Not that it’s angular like a crystal by any means; the Audi S8 incorporates smooth, curvilinear aerodynamics into its design. But the Audi S8 manages to combine the glamour of a precious stone with hard clarity. But the Audi S8 has no hint of cheap and trashy bling-bling about it – it is pure class that oozes a subtle sense of power. Xenon headlights, metallic paint, an integrated rear spoiler and 20″ aluminium alloy wheels put the finishing touches on this jewel. And, of course, the Audi S8 has the special S-design in the alloy wheels and the S badge. As any well dressed lady will tell you, it’s the little accessories that really make a difference. A diamond seems to have a heart of fire. So does the Audi S8. With the bonnet raised, the Audi S8 unveils a wonder. Although you’ll want to close the bonnet quickly because you’ll want to see just what the Audi S8 can do. And you will be impressed. The Audi S8’s 5.2 litre V10 is just waiting to spring into life at the driver’s command, promising 331 kW of power at 7000 rpm and 540 Nm of torque at half those revolutions. And the Audi S8 is lightning-quick, capable of accelerating from a nothing to 100 km/hr in only a few heartbeats – 5.1 seconds to be exact. Or should that be a few heartbeats at the rate it will be beating before driving the Audi S8? Being in control of the six-speed tiptronic gears will accelerate your heartbeat as well. The Audi S8 has had its top speed restricted to 250 km/hr, but would certainly be capable of more. After enjoying how the Audi S8 responds to the servotronic steering and the ride offered by the adaptive sport air suspension, you will still find the Audi S8 ready to please. Even parking is easy with the Audi parking Plus system with optical acoustic parking aids for front and rear coming as standard (the Advanced system with a rear view camera comes as optional). Once parked and awaiting your pleasure, the Audi S8 will keep itself in place with the electro-mechanical parking brake to prevent gravity from removing it, and the standard anti-theft alarm system to prevent thieves from succumbing to temptation. The Audi S8 also knows how to keep you and it safe when back on the move again. DataDot technology, a tyre pressure monitoring system, Quattro permanent all-wheel drive and a sophisticated electronic stabilisation program all combine to keep the power and passion of the Audi S8 under control. And because not all cars are created equal and people can make mistakes, the full complement of airbags front and back, the active front head restraints and the Audi Space Frame will form a protective barrier between you and harm. The safety features on the Audi S8 can also be enhanced by the optional ceramic brake disks. 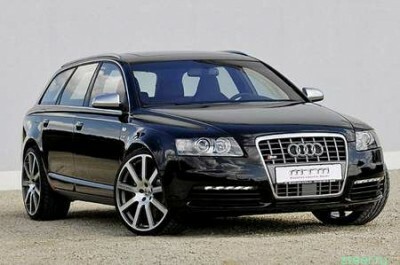 And the stylishness of the Audi S8 doesn’t merely stop at good exterior looks, safety and stunning performance. To sink into the Valcona leather seats of the Audi S8 is pure pleasure. Your driving comfort is guaranteed in any weather with the heated seats, double glazed side and rear windows, the tilting and sliding glass sunroof and the four zone deluxe automatic air conditioning system. As well as pleasing the sense of touch, the Audi S8 pleases the ear with a state-of-the-art sound system with 14 speakers – not to mention the purr of the engine – and the eye will enjoy how the aluminium theme of the exterior is continues on the inside, although inlay trims in walnut brown, birch wood grey and fine birch wood honey are also available. For any more information on the Audi S8, or for that matter any other new car, contact one of our friendly consultants on 1300 303 181. If you’d like some fleet discount pricing (yes even for private buyers! ), we can submit vehicle quotes requests out to our national network of Audi dealers and come back with pricing within 24 hours. Private Fleet – car buying made easy!